Produced in wood and finished in a gorgeous baby blue it will look fabulous in the new nursery! Babies grow so fast and the first year passes within the blink of an eye. 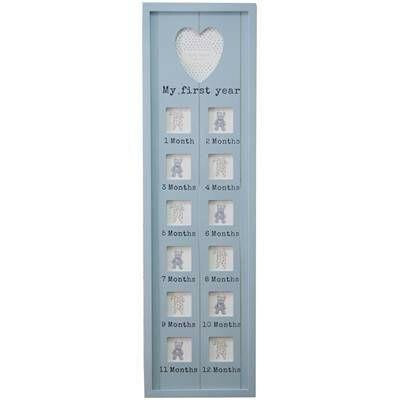 What better way to capture and treasure your baby's first months than with this super first year photo frame?